Hey guys, so I haven't been feeling great the last few days so I haven't had a lot of time to write a huge blog post so I thought I would do another mini haul/routine. My nails haven't been the greatest over the last couple months so I bought I few products to help with my nails. 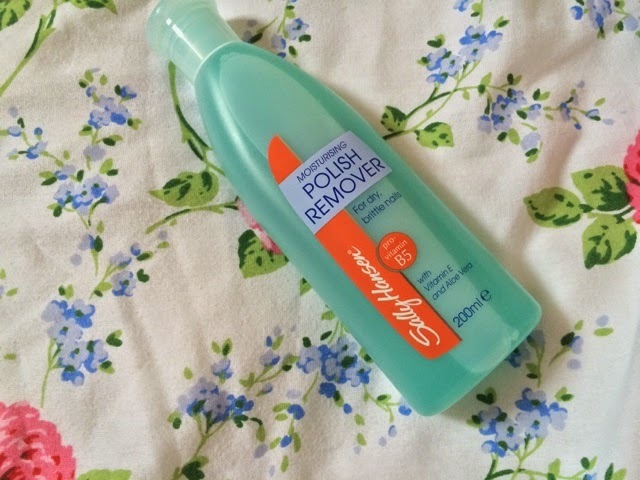 Sally Hansen Moisturising Polish Remover... For dry, brittle nails. I really hate taking my nail polish of, it just takes such a long time. I end up peeling my polish of and ending up taking of half my nails so I purchased to this to help my nail strengthen and to get them healthy again. 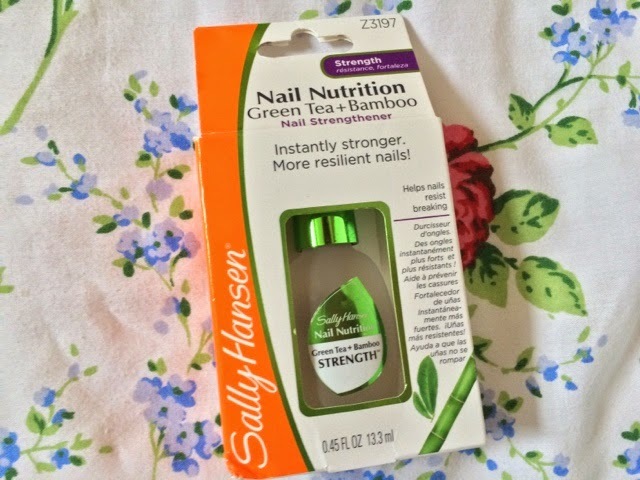 Again the Sally Hansen Nail Nutrition Green Tea and Bamboo Nail Strengthener is too help with my shocking nails. Like I said I feel like I take half my nails off after wearing nail polish and it has left me with very weak nails. I did hear great things about this product. I use it as a base coat and top coat. So far it has worked excellently. It has made me nails look super shiney. 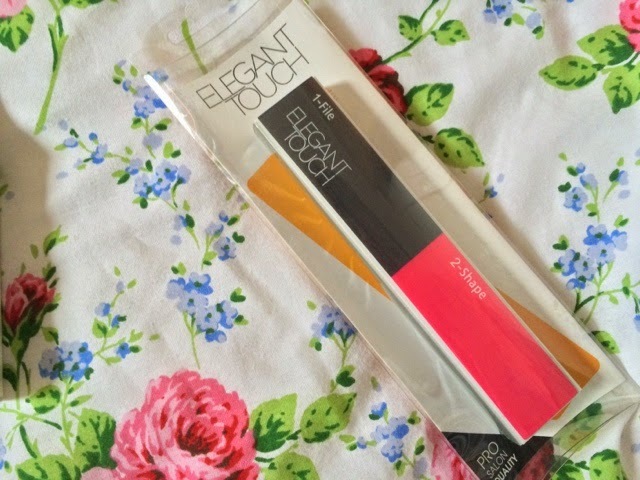 The last product is the Elegant Touch Nail 6 in 1. It files, shapes, buffs, polishes, and shines. I really want to take great care of my nails and this is perfect. It is super easy to use and I would highly recommend. I would then use some sort of hand/nail cream to keep my hands from going dry. Note to self and any other Gluten free people out there. If in doubt never eat at a place you are not sure off. The outcome is not worth it.